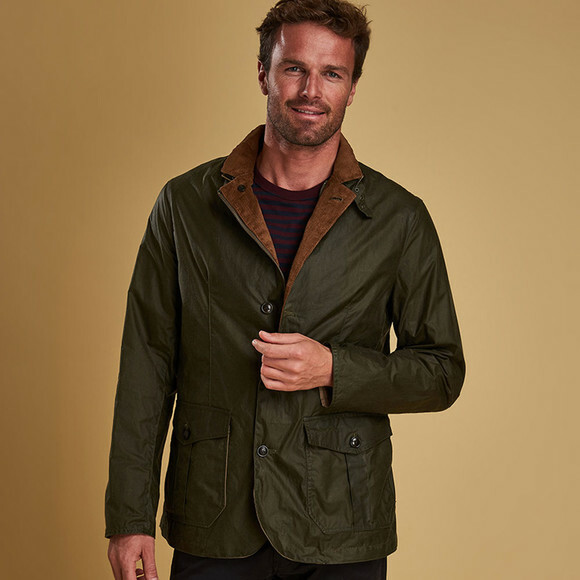 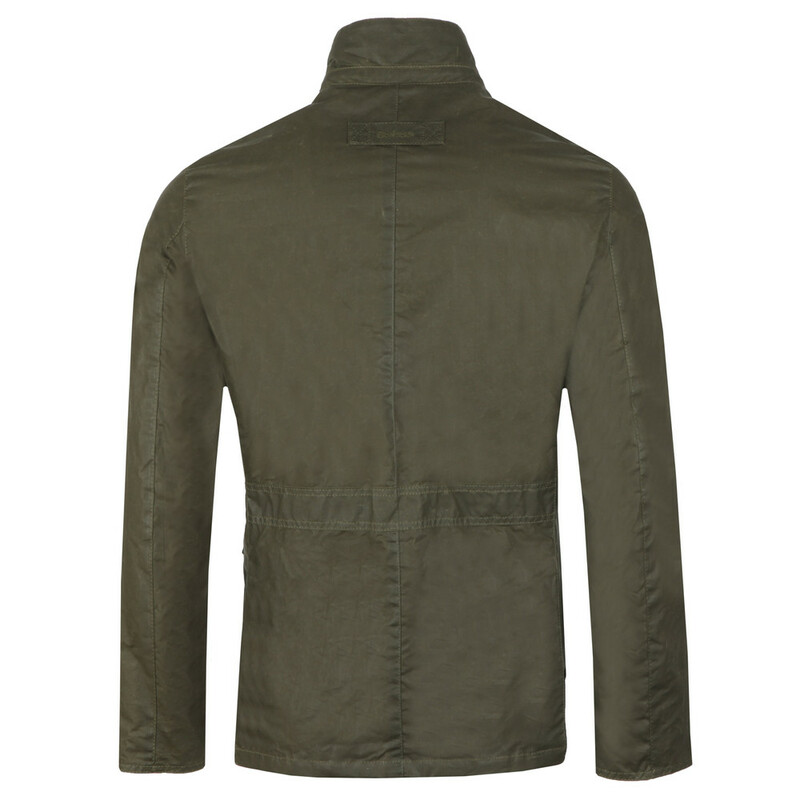 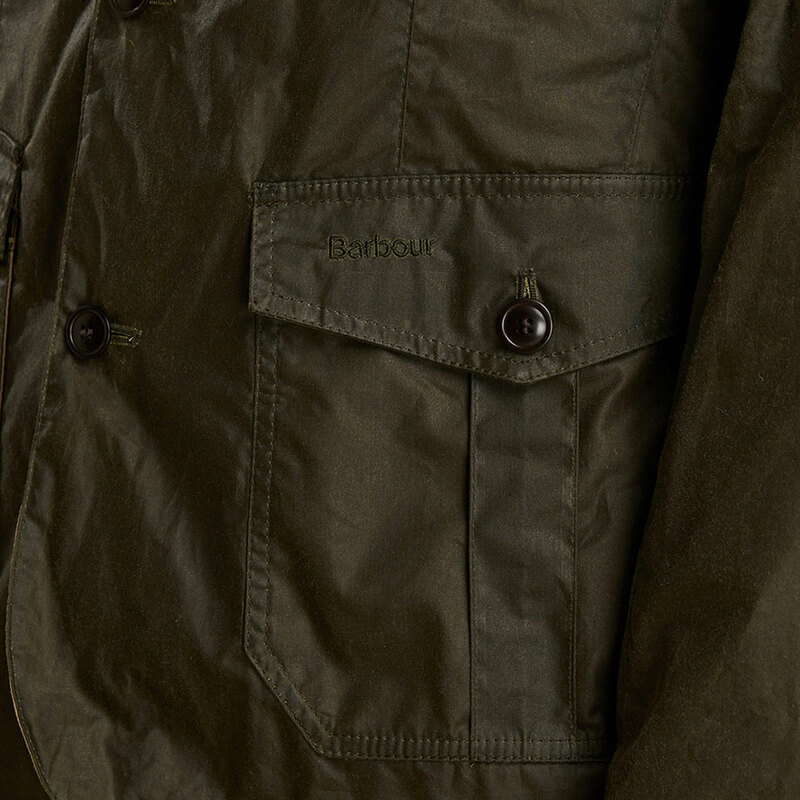 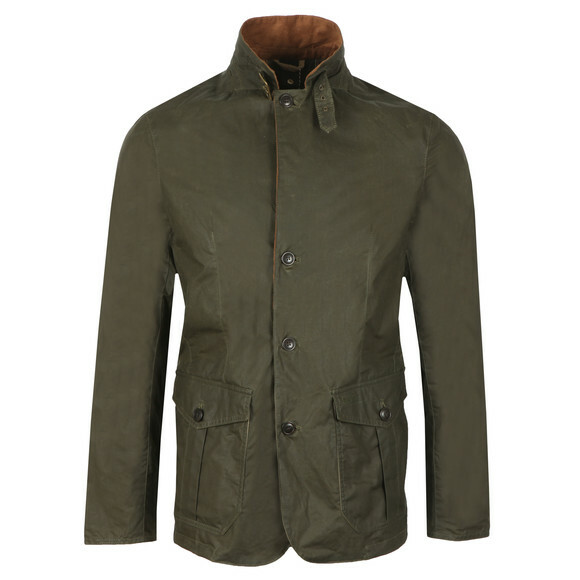 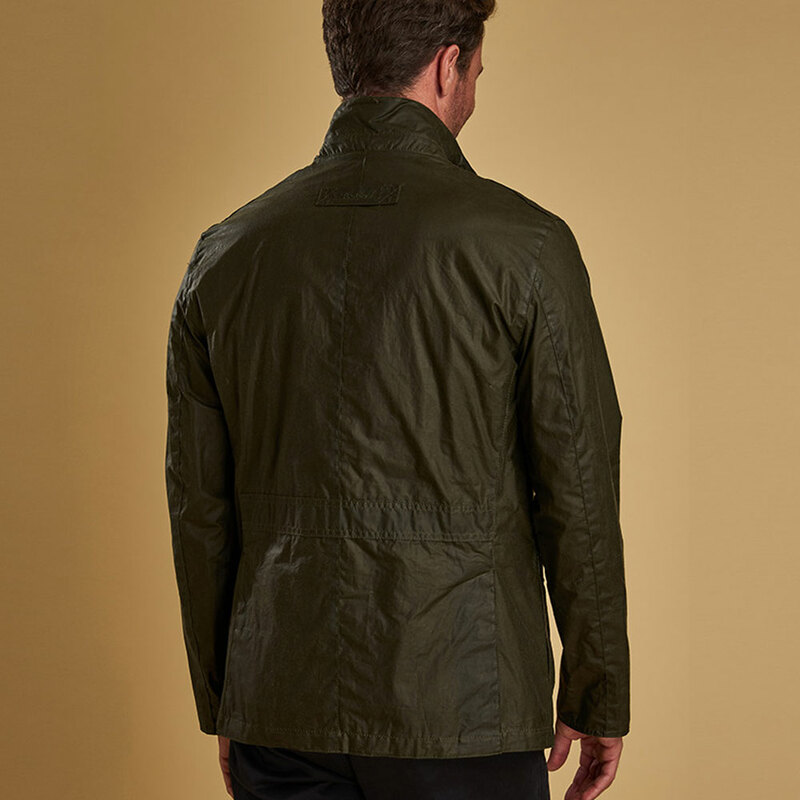 Barbour Lifestyle Lightweight Sander Waxed Jacket in Archive Olive. A simplistic design with utility waist pockets and a stand collar. 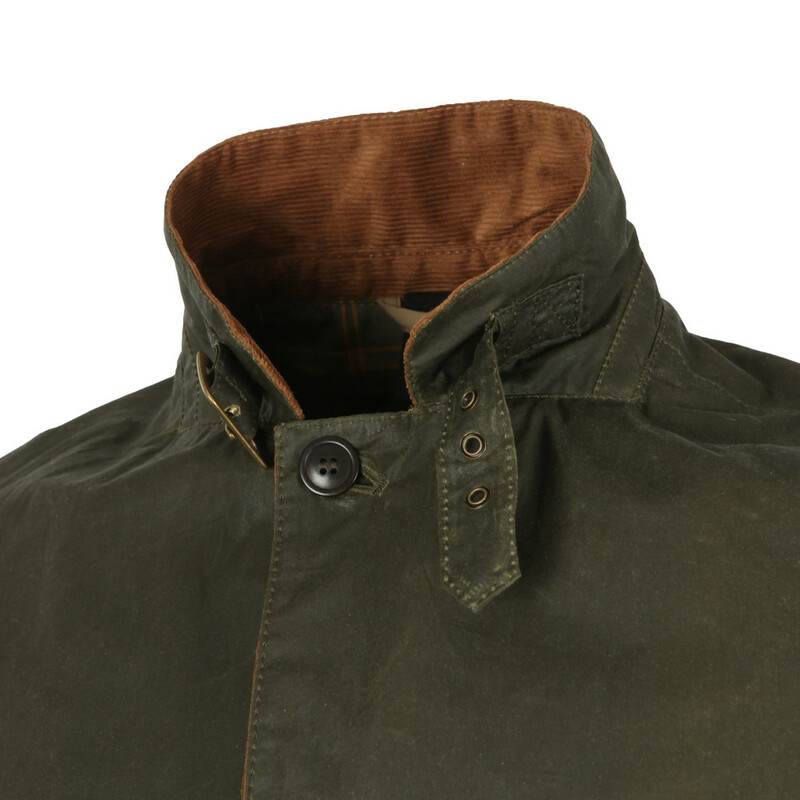 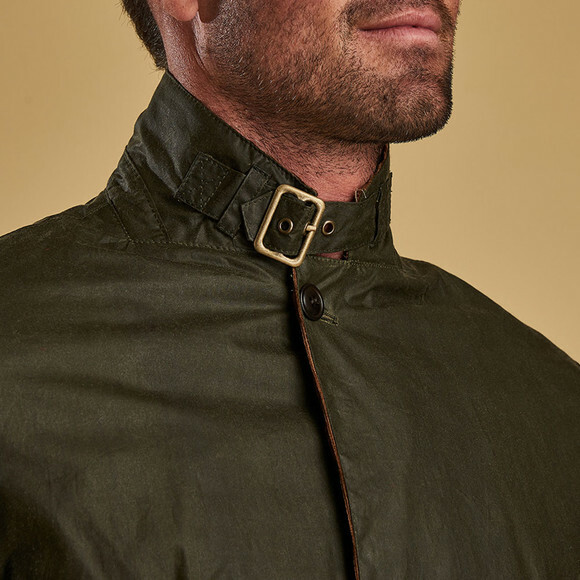 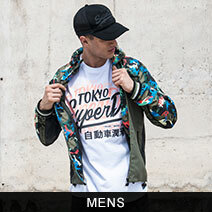 The neck has a metal buckle and a button over placket conceals teh full zip front.